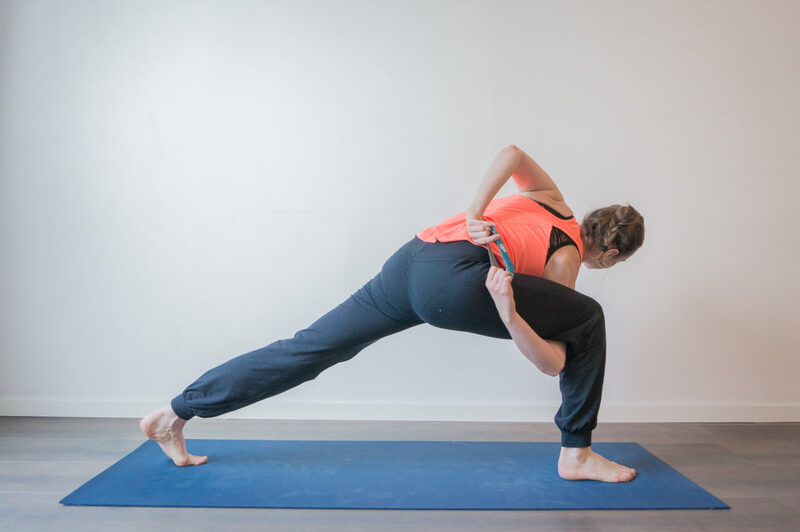 You can use our yoga straps to help you achieve a bind in certain poses. Model using our two of our yoga straps in small size. An alternative way of achieving the bind using our large strap, which provides two handles when folded over.